Safe4RAIL-2 will deliver next-generation network devices (i.e. ETBNs, CSs and EDs) that integrate the Drive-by-Data concept based on Time Sensitive Network (TSN) technology, introducing deterministic communications at backbone and consist levels of the wired train network. Special attention is paid to the interoperability among the three different equipment manufacturers in the consortium. In Safe4RAIL-2 an HVAC subsystem (i.e. a non-safety function) will be integrated on top of the FDF implementations of two demonstrators; for this purpose, Safe4RAIL-2 will provide expertise on AUTOSAR (AUTomotive Open System ARchitecture), as a reference middleware for application development and integration, as well as previous understanding of the FDF architecture. In Safe4RAIL-2, the HVAC functionality will be further integrated in the SF for remote Hardware-In-the-Loop tests. 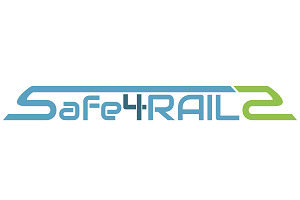 Safe4RAIL-2 will develop and validate LTE devices suitable for WireLess Train Backbone (WLTB) communications, using OAI-based LTE Equipment, supporting UE-to-UE direct communication and fully compliant with 3GPP ProSe LTE Rel. 14 V2X/D2D. Mosaic5G will provide control and data plane programmability and model-driven network service orchestration for the future Wireless TCMS studies in Safe4RAIL-2.